Arkady Rylov was a Russian and Soviet landscapist painter, graphic artist and teacher. By the way, he was a member of World of Art, Union of Russian Artists, founding member of the Leningrad Union of Artists, Professor of the Leningrad Institute of Painting, Sculpture and Architecture of the All-Russian Academy of Arts, Honored Artist of the RSFSR (1935). Arkady Aleksandrovich Rylov was born in January 17 (29), 1870 in Vyatka province, Russia. Arkady grew up in the family of his stepfather, because his own father was mentally ill. The boy studied in St. Petersburg, first in the Central School of Technical Drawing and then Konstantin Kryzhitsky became his teacher. In 1894-1897 he studied at the Academy of Arts with A.I. Kuindzhi. Arkady participated in the creation of associations World of Art and Union of Russian Artists. In 1915 the artist became an academician of painting. In addition, A. Rylov successfully worked as an illustrator and wrote essays on nature. 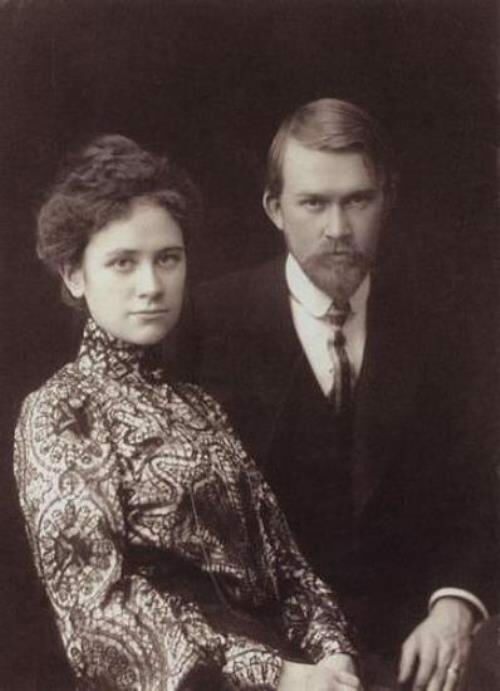 He was the chairman of the Kuindzhi Society of Artists. Henri Matisse was a French painter and sculptor, one of the great initiators of the modern art movement and the most outstanding personality of the first revolution in 20th-century art – Fauvism. He was the greatest master of modern sophistication. Matisse was the artist who fulfilled the national tradition of French painting in the modern movement. Matisse was an artist of “light and happiness”, who looked at the world through the prism of joy and beauty. He confessed that he found joy in everything: in the trees, in the sky, in flowers. 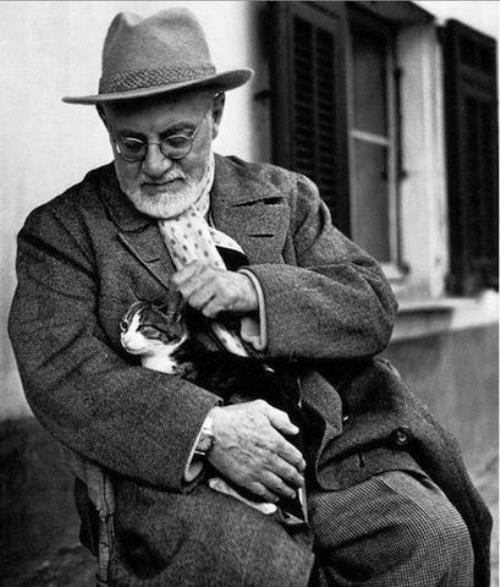 Henri Matisse was born on December 31, 1869, at Le Cateau-Cambresis. Matisse’s father was a corn merchant, his mother an amateur painter. From 1887 to 1891 Henri studied law and then decided to go to Paris and become a painter. In 1892 he entered the studio of Gustave Moreau and studied there for 5 years. Moreau encouraged his students to look at nature and to paint outdoors, as well as to frequent the museums. 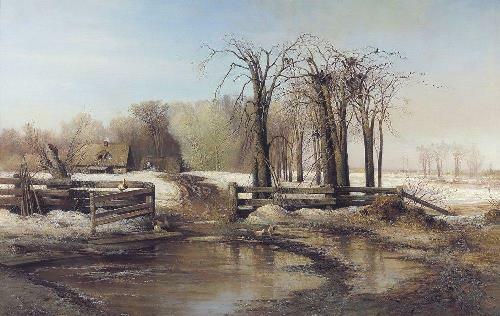 Alexei Savrasov was a Russian landscape painter, founding member of the Association of Travelling Art Exhibits (Peredvizhniki), author of the archetypal and iconic landscape The Rooks Have Arrived. Alexei Kondratievich Savrasov was born on May 12 (24), 1830 in Moscow, into the family of the merchant Kondraty Artemievich Savrasov. In his early youth, the future artist had the ability to paint. The boy entered the Moscow School of Painting and Sculpture in 1844. During his studies, in 1850 he painted View of the Moscow Kremlin with the Moon and was awarded the title of a non-class artist. Savrasov became well-known thanks to his picture View of the Kremlin from the Krimsky Bridge in Inclement Weather in 1851. In 1852, after a trip to the southern provinces of Russia, he painted Steppe in the Afternoon and Dawn in the Steppe. 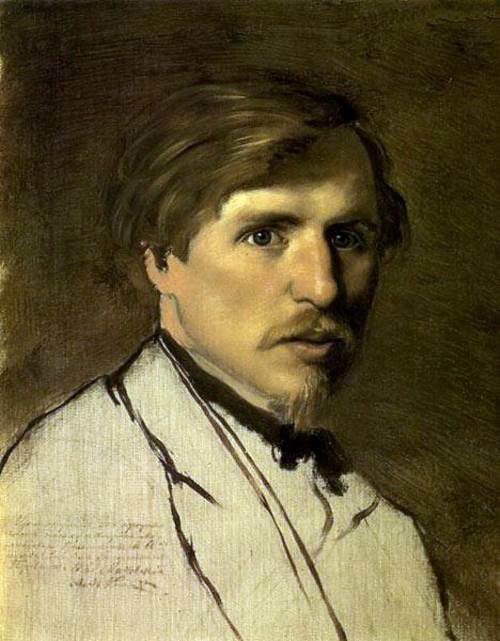 Boris Kustodiev was a Russian and Soviet artist, portrait painter, theater artist, decorator. He was Academician of Painting (1909) and member of the Association of Artists of Revolutionary Russia (since 1923). 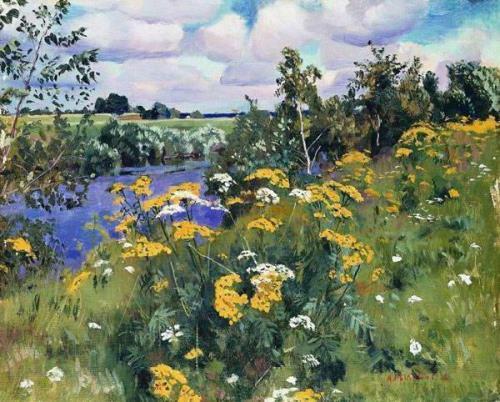 Boris Mikhailovich Kustodiev was born on February 23 (March 7), 1878 in Astrakhan. His father, Mikhail Lukich Kustodiev (1841-1879), was a professor of philosophy, history of literature and taught logic in a local theological seminary. The father died when the future artist was two years old. Boris studied at the parish school, then at the gymnasium. P. Vlasov, a graduate of the Petersburg Academy of Arts, gave lessons to the 15-year-old boy. In 1896 Boris entered the St. Petersburg Academy of Arts. His teachers were V. Savinsky and I. Repin. Kustodiev took part in the work on Repin’s painting Solemn meeting of the State Council on May 7, 1901 (1901-1903, Russian Museum, St. Petersburg). Palekh miniature is a Russian national craft developed in the village of Palekh, Ivanovo region. Lacquer miniature is done with tempera paints on papier-mâché. Usually, caskets, jewel boxes, brooches, panels, ashtrays, tie clips, needle beds are painted. The village of Palekh in the Ivanovo region is the birthplace of the Palekh painting. The village was famous for its icon painters during Peter I’s rule. At the beginning of the 19th century the masters were engaged in monumental painting, painted churches and cathedrals. In 1918, the Palekh Artel, which was engaged in painting on wood, was created. 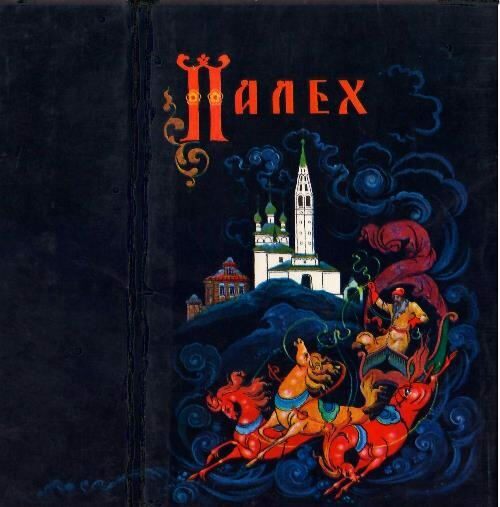 Plots for Palekh miniatures are borrowed from everyday life, literary works and the Slavic mythology. The Palekh miniature managed to preserve the age-old traditions of icon painting and transfer them to new forms and to fill with other content. Snakes don’t have legs, or arms either. These reptiles look slippery and slimy, but their skin actually feels like cool soft leather. The smallest snakes are no larger than worms. 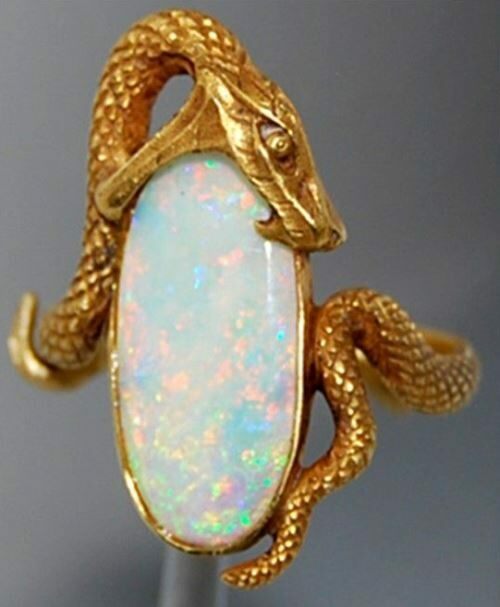 All snakes are hunters and swallow their food whole, without chewing. Snakes are eaten by big birds such as eagles, hawks, and owls. During cold winters, thousands of snakes may sleep together in a hole underground to keep each other warm. There are about 2,900 species of snake. The best-known snakes include cobras, vipers, boas, and pythons. Snakes are found throughout the world except near the North and South poles. Most snakes live on the ground, but others prefer trees. Sea snakes live in water. Snakes grow throughout their lives. A snake sheds its skin many times during its life. Illarion Pryanishnikov was a Russian artist and teacher, master of genre painting, member of the Petersburg Academy of Arts (since 1893), one of the founders of the Association of the Wanderers (Peredvizhniki). Illarion Mikhailovich Pryanishnikov was born on March 20 (April 1), 1840 in the village of Timashovo in the Borovo district of the Kaluga province, in a merchant family. At the age of 12 he began to study at the Moscow School of Painting, Sculpture and Architecture, but a year later he left it: he had to work in a merchant’s shop. In 1856, he resumed his studies. Until 1866, Pryanishnikov studied with such masters as E. S. Sorokin, S. K. Zaryanka, A. N. Mokritsky, E. Ya. Vasiliev. It was Vasiliev who achieved the right to free education for a talented student and provided him with housing. During his studies, Pryanishnikov became friend with V.G. Perov; in 1857, when Perov worked on the picture Arrival of a New Governess, Pryanishnikov posed for him to create the image of the main character. In 1862, the young artists spent the summer in the Trinity-St. Sergius Lavra.